Good morn and evening, friends, and get ready for a super-sized episode. Stevie Wonder has a deep catalog of classic, beloved LPs, but since this week’s host, Ben, follows the “because it’s there” approach to choosing albums for this podcast, we’re tackling the longest, most epic one of all: 1976’s Songs in the Key of Life. Encompassing two LPs and a bonus EP, Songs is “massive and meant to be massive,” Ben argues to co-hosts Phil, Mike, and John — and just look at the list of personnel if you don’t believe us. Even if not every song lands, the album is such a mountain range of joyous musical peaks that you’re likely going to emerge from it adoring at least a dozen tracks. Plus, ‘90s kids will recognize the source material for both Coolio’s legendary anthem “Gangsta’s Paradise” and Will Smith’s much less legendary soundtrack cash-in “Wild Wild West.” This one might take you a few commutes, but if you’ve somehow not yet experienced the music of Stevie Wonder, we promise you’re about to have a new favorite artist. As John teased, Stevie Wonder has too much great music to contain to one episode, and we’re eventually planning on covering his 1973 masterpiece Innervisions — though not quite yet. In one of the Grammy Awards’ more baffling decisions, Jethro Tull won Best Hard Rock/Metal Performance in 1989. When Metallica won the same award in 1990, Lars Ulrich thanked Jethro Tull for not putting out an album that year. The year Stevie decided to step back and let somebody else have a turn at the Grammys, Paul Simon won for Still Crazy After All These Years. 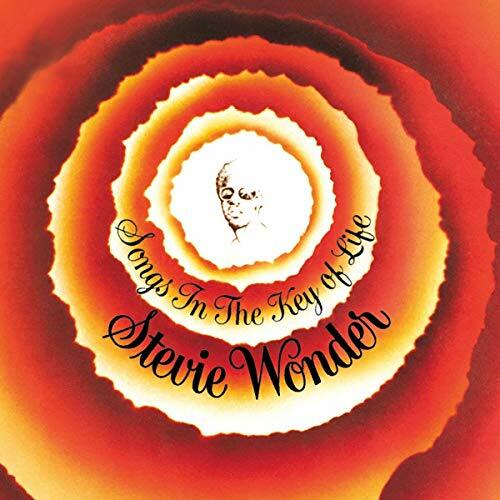 Songs in the Key of Life was originally meant to be released in 1975, but Stevie decided at the last minute to remix several of the songs, so it was pushed back. Motown put out t-shirts reading “WE’RE ALMOST FINISHED” to promote it during the delay. “Fingertips Pt. 2,” Stevie’s first hit, was recorded when he was only 12. You can buy or stream Songs in the Key of Life and other albums by Stevie Wonder at the usual suspects such as Spotify, iTunes, YouTube, and Amazon. Follow Discord & Rhyme on Twitter @DiscordPod for news, updates, and other random stuff. Follow Ben @BenjaminM1019, John @tarkus1980, Phil @pamaddox, and Mike isn’t on Twitter because he got too many contusions. Special thanks to our own Mike DeFabio, the Other Leading Brand, for production, editing, and knowing everything about all the instruments. See you next album, and be ever wonderful.